Lord Dalhousie never lived to see Dalhousie College open, but he is still known as Dalhousie's founder and namesake. George Ramsay, 9th Earl of Dalhousie, was born 22 October, 1770 at Dalhousie Castle, near Edinburgh. 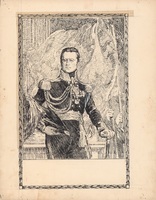 His parents were George Ramsay, 8th Earl of Dalhousie, and Elizabeth Glene. He had a successful military career, awarded a Knight Companion in 1813 and a Knight Grand Cross in 1815 after the Battle of Waterloo. In 1816, Lord Dalhousie became the governor of Nova Scotia and moved to Halifax. Dalhousie was knowledgeable about farming, and during his time as governor, he worked to return unfarmed land grants to the crown. In 1817, Dalhousie proposed a new college in Halifax, and laid the cornerstone of Dalhousie College in 1820. In 1820, Dalhousie was appointed to the position of Governor General of British North America and left Halifax for Quebec. After conflicts with Louis-Joseph Papineau and others, Dalhousie was appointed commander-in-chief of the army in India in 1828. 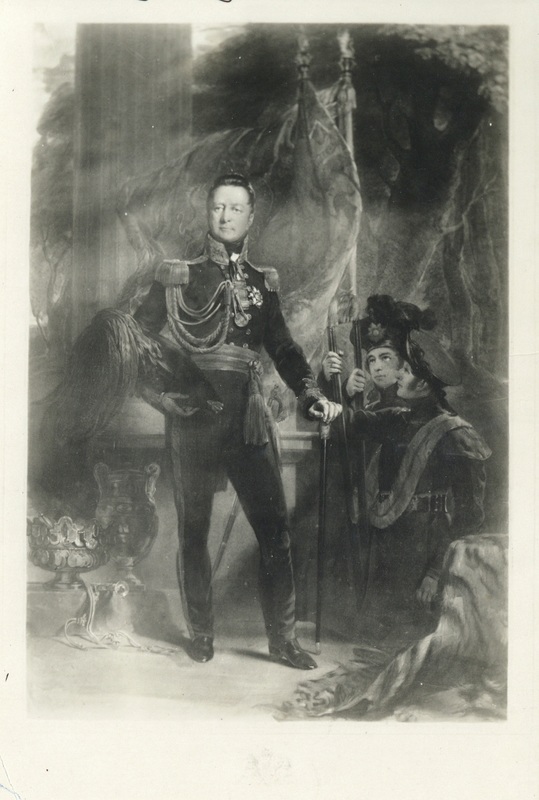 He resigned in 1832 and died 21 March, 1838 at Dalhousie Castle. Peter Burroughs, “RAMSAY, GEORGE, 9th Earl of DALHOUSIE,” in Dictionary of Canadian Biography, vol. 7, University of Toronto/Université Laval, 2003–, accessed September 18, 2017, http://www.biographi.ca/en/bio/ramsay_george_7E.html. 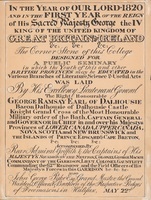 Historica Canada, 1985—, article published January 14, 2008, http://www.thecanadianencyclopedia.ca/en/article/george-ramsay-9th-earl-of-dalhousie/#links.